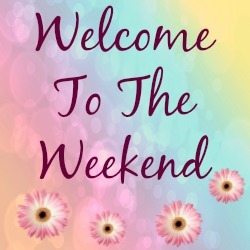 Five On Friday : Welcome To The Weekend Blog Hop.. Welcome back to, Welcome To The Weekend Blog Hop. 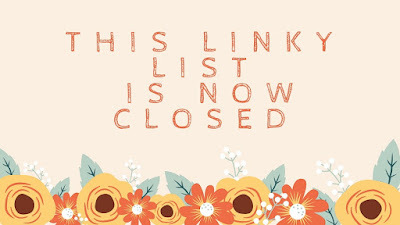 Thanks so much for stopping by and linking up today to the weekend blog hop. Happy you are here and hope you have fun hopping around and finding new blogs to read, follow and comment on. This week I am sharing my five favorite pictures this week. Some that make me laugh, some that make me smile and some that bring back fun memories. 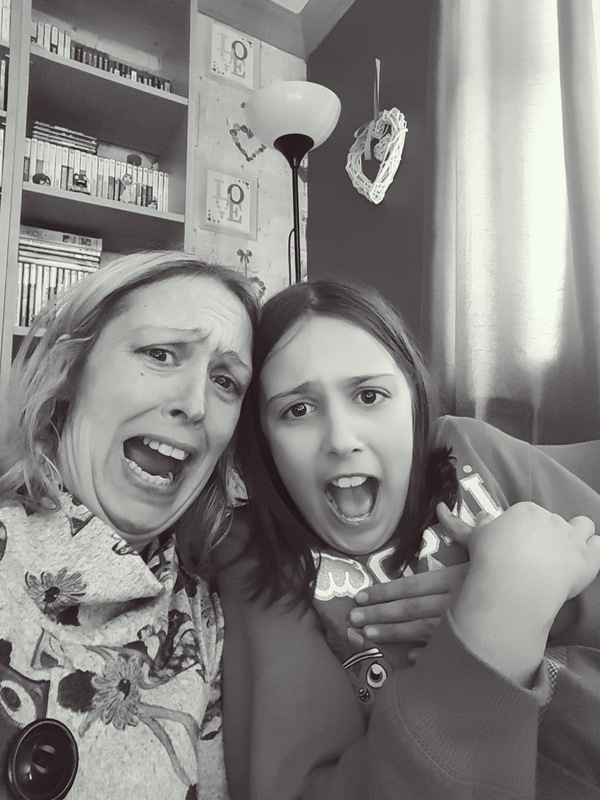 Me and my daughter watching old episodes of Goosebumps earlier. Having a movie and duvet moment together. I remember watching them years ago with my 2nd eldest son, all those years ago. Still scare me, lol. Especially the gnomes and puppets!! Have you ever watch Goosebumps? Do they scare you too? Yummy strawberries. Love them on everything. This week I have had them for breakfast, in smoothies and with my brownies and ice cream! Being nice and healthy for a change!! Hehe, Mollie thinks she is human. First, she tries to sit at the table. Then she tries to take the driving seat! No, Mollie, you’re a passenger, not the driver. Move over!! She looks so comfy here too. I felt guilty moving her!! Mollie is always excited for walkies. Shwe would go out all day if we had time. 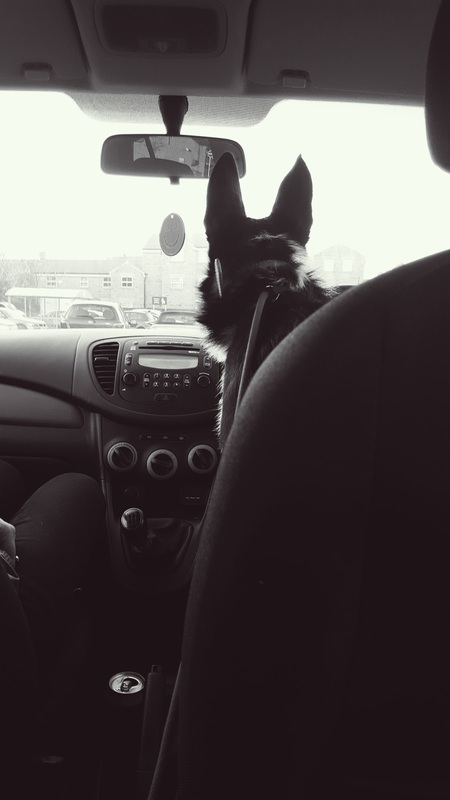 She loves walkies.Here we were going out for a ride to Sherwood Forest. Though this was a good shot of Mollie excited about going out. She loved it visiting somewhere different too. All those new smells. 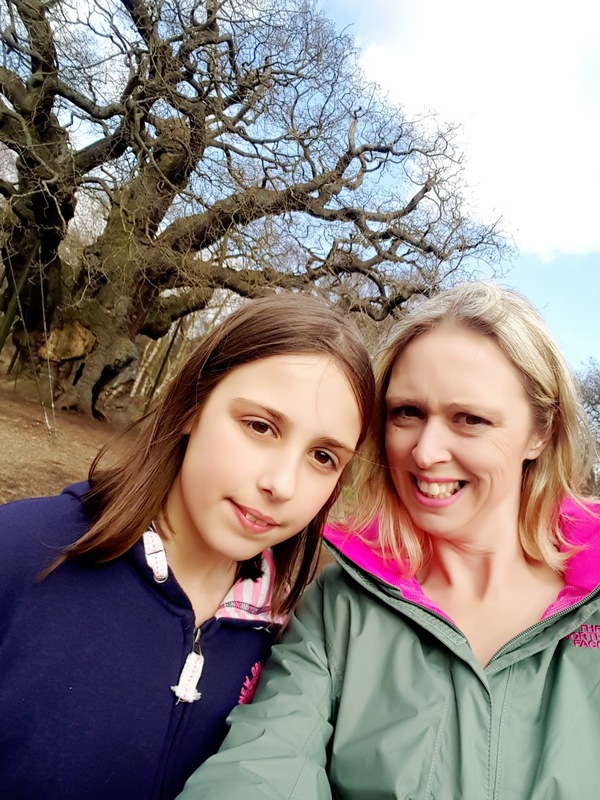 Me and mini-me having a selfie outside The Major Oak in Sherwood Forest. Such an iconic spot. Now, where was Robin Hood to jump in our selfie? Want to link up with us today and join in the blog hopping fun? 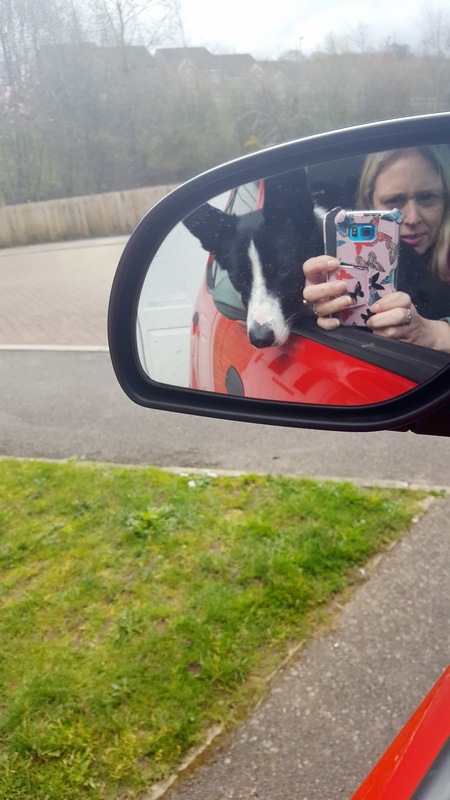 Five On Friday: Welcome To The Weekend Blog Hop. "5 Up-cycle Ideas For The Garden"
"Chocolate Banana And Crunchy Peanut Butter Superfood Plus Smoothie…"
Aww thank you Fabby 🙂 Have a lovely weekend .. I just bought some huge juicy berries! I love berry season! Thanks Tamar, whoo me too!! Haha, they are fun to watch 🙂 Thanks for linking up Paula..
Fun photos! 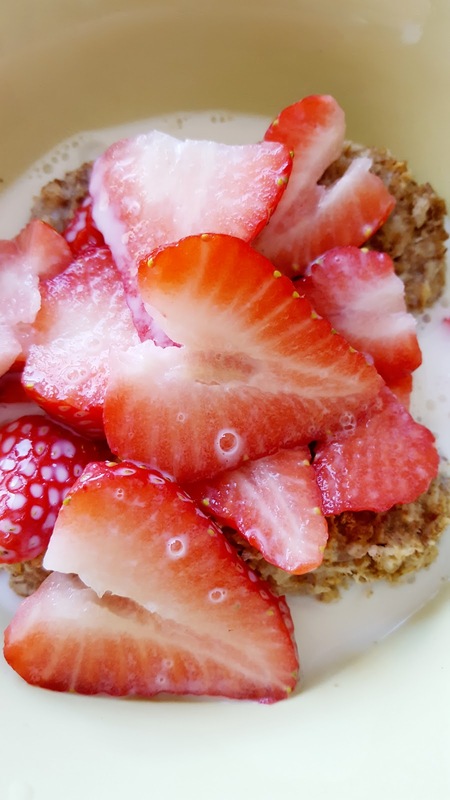 The strawberries – yum! Love these pics of you and your mini me! What fun! You and your dd look like you're having a blast. Great pics too.Now I have to share my complete ignorance..Sherwood Forest is a real place? You're kidding. See…THIS is the kinda thing I'm talking about in my post on NY City and how We view the world Yikes. I seriously learn something new everytime I come here…whether about the UK, recipes, fashion…seriously.Thank you my friend for hosting. I'm clicking to a few other shared posts. Enjoy the weekend. thanks Claire for the fun and have a nice weekend. Cheers to the weekend, Claire! Super cute pics! Happy Friday! Great to see you here Camille 🙂 Thanks for stopping by ..